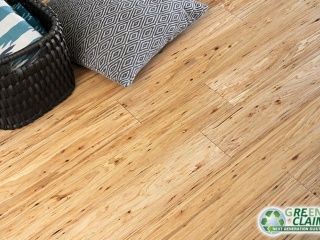 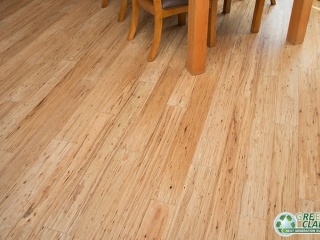 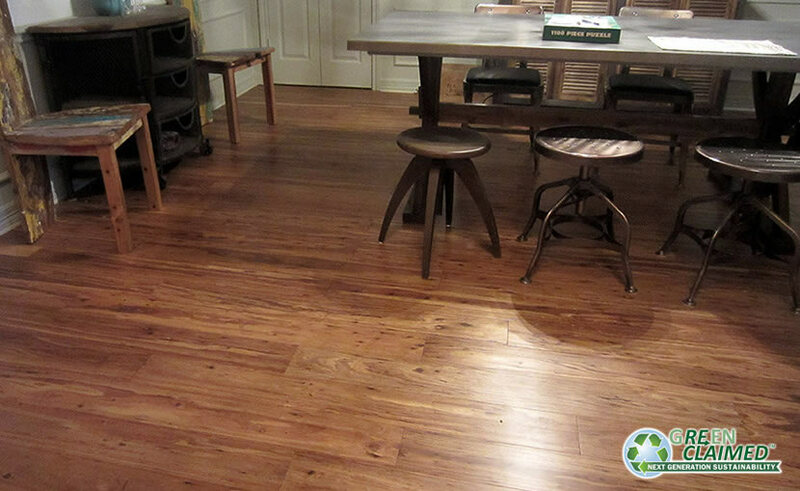 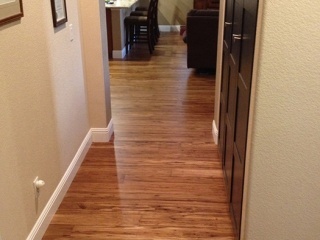 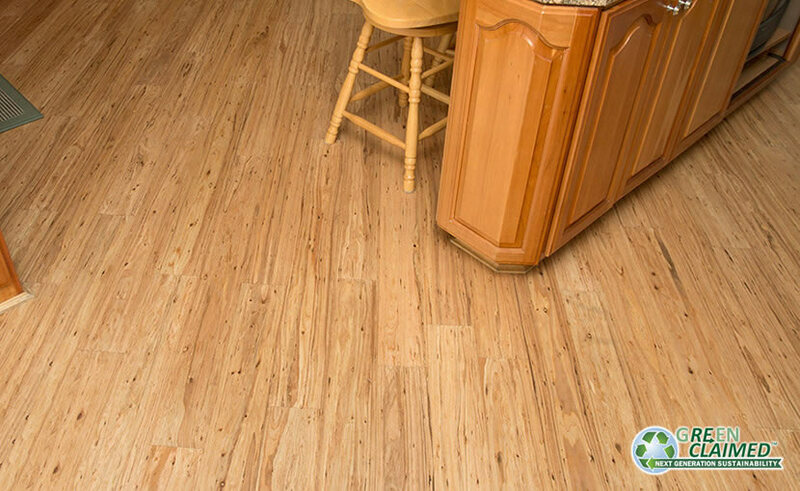 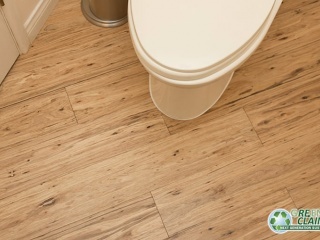 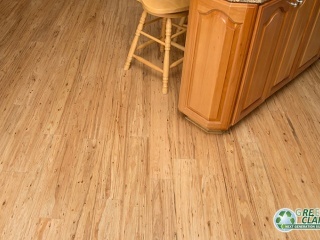 Engineered eucalyptus flooring is another eco-friendly option in Great American Flooring’s inventory. 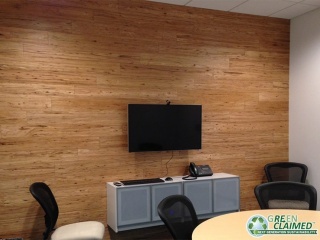 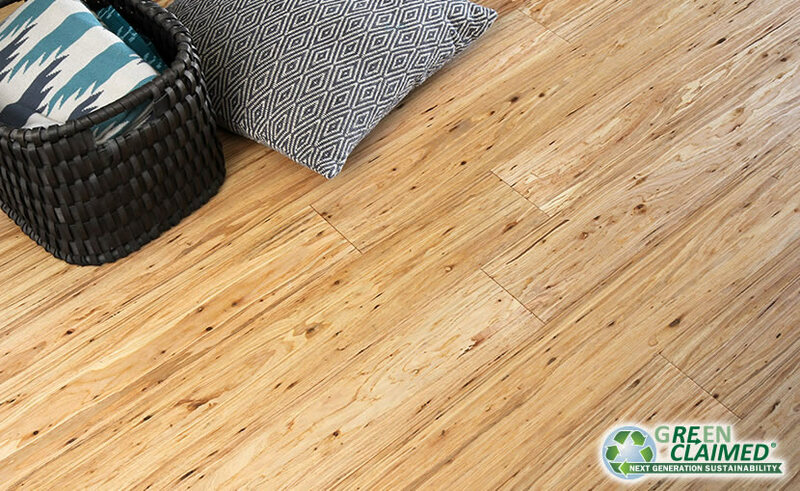 With stunning wood grains similar to traditional hardwoods but with significantly superior durability, plus all the eco benefits of a rapidly renewable material. 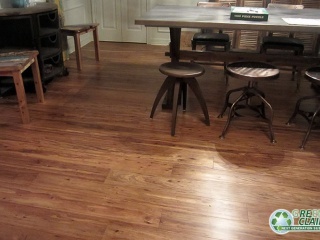 Eucalyptus flooring can be as durable, stable, and low-maintenance as any other equivalent hardwood. 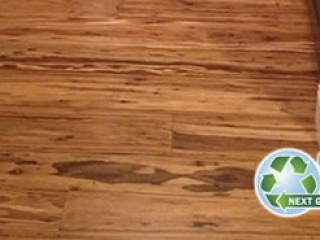 Eucalyptus wood flooring is perfect for high traffic areas prone to dents and scratches because it can be 20 times harder than other wood floors. 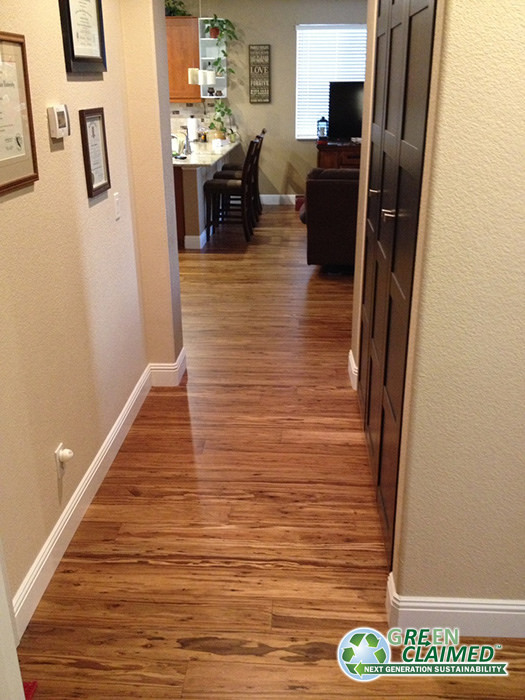 Color ranges from creamy shell with gray undertones to rich chocolate. 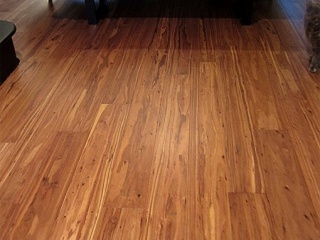 Eucalyptus hardwood floors are a stylish yet sensible choice that will add to any décor. 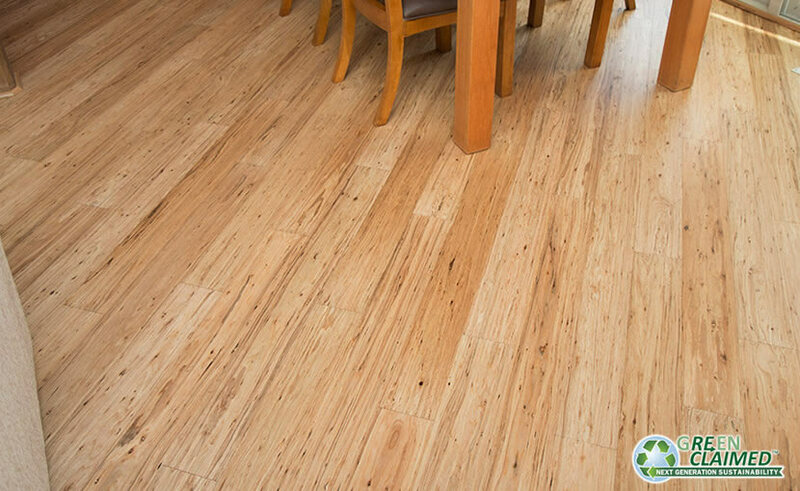 Though eucalyptus has the appearance of an exotic or reclaimed hardwood, it also has all the green benefits of rapidly renewable material reaching full mass every 14 years. 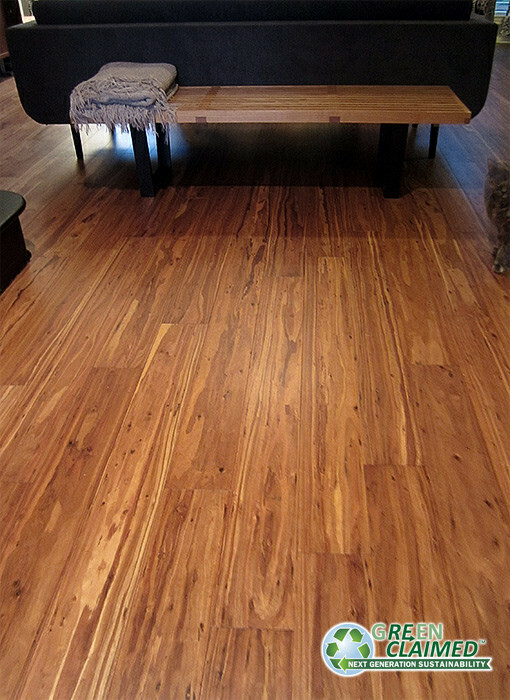 Additionally, harvesting eucalyptus doesn’t kill the tree. 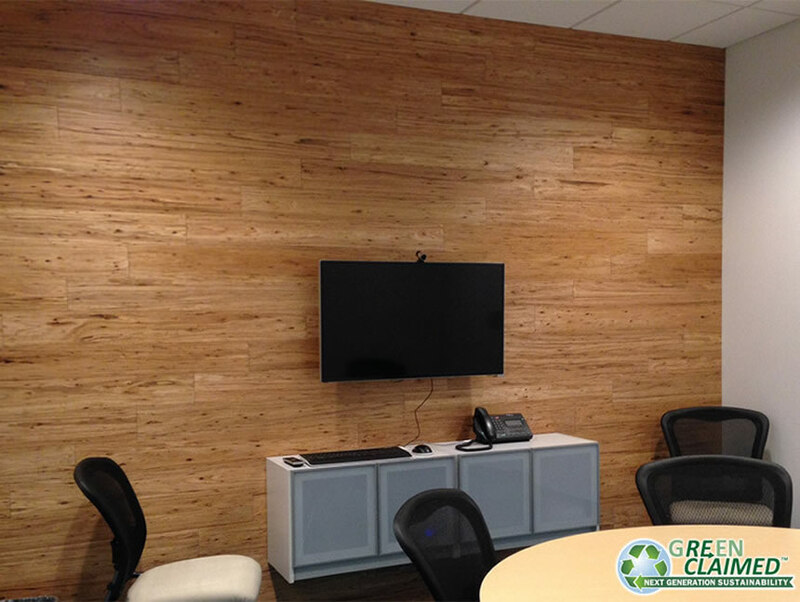 The trimmed segments simply regrow, in place, eliminating habitat and soil degradation and erosion. 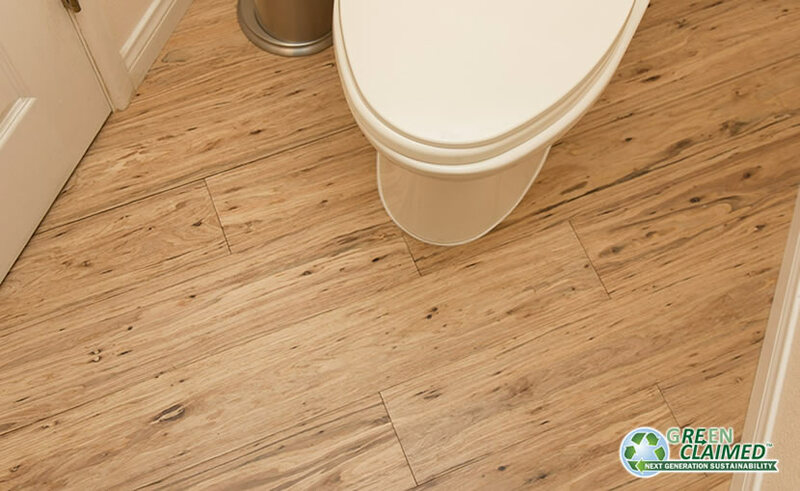 Eucalyptus also has the added ability to adapt and thrive in some of the driest environments across the globe which can help reduce water consumption and transportation requirements.